A new casual dining restaurant opening at Gatwick airport this month is set to focus attention on premium Californian wine region Sonoma County. The new casual Californian-inspired all-day dining restaurant, which will open in time for Easter, is the result of a collaboration between restauranteur Russel Joffre, the chef behind restaurant and café chain Giraffe, and restaurant concession specialists TRG Concessions. 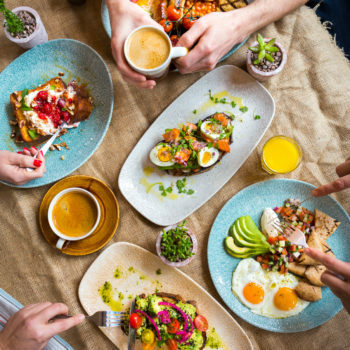 The company says the new 300-cover casual dining ‘concept’ says will meet the demands of modern travellers, with features that make travellers’ visits easier including displaying real-time food service times at the entrance of the restaurant, the ability to click and collect and pay at the table capabilities, as well as a digital menus. It will feature a dedicated bar serving a selection of six wines on tap – red, wine and sparkling from across the world – enabling customers to order a glass, a 50cl carafe or a bottle, with information about the wine on tap featuring on the menu and tasting tags attached to the glass or bottle when served to guests. Three Californian wines – including two from Sonoma – are available by the bottle and the team plan to add a rotating selection of Californian wines, both on tap and by the bottle. It will also be launching a specialist whisky range to complement the Californian branding, alongside a wide selection of craft beer & spirits. The restaurant will also feature an open kitchen and open pizza oven, so that customers can see their food being prepared, with the menu featuring dishes such as the Californian Breakfast Bowl – scrambled eggs with avocado, cherry tomatoes, coconut yoghurt and a quinoa salad – alongside traditional American classics such as fresh Rotisserie chicken, stone baked pizzas, and loaded burgers, and a selection of small snacking plates for the afternoon. The 6,500 sq ft restaurant, which is the result of £3 million investment, replaces two restaurants in the north terminal, Garfunkel’s and Armadillo. The launch will hopefully raise awareness of California’s premium wine region, which has historically been overshadowed by the region’s better-known neighbour, Napa Valley. Running alongside the Pacific Ocean and the mountains, Sonoma County benefits from complex weather conditions that are heavily influenced by the Pacific, and comprises a huge array of soils and topography, rising from sea level to 2,600 feet above sea level, which winemakers argue gives Sonoma County more fine wine potential than any other region worldwide. Its winemaking history dates back to the 1810s and now comprises around 60,000 acres under vine across 18 AVAs (American Viticultural Areas or appellation) from Alexander Valley located along the Russian River to Chalk Hill, Knights Valley and Petaluma Gap. A huge range of varieties are grown, but the most widely planted include Cabernet Sauvignon, Pinot Noir, and Chardonnay. 2018 saw the spectacular vintage across the region, winemakers reported, with yields in Sonoma County around 15-20% higher than average.